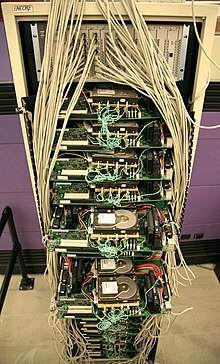 ^ Pandia Search Engine News – Google: one million servers and counting. Pandia Search Engine News. 2007-07-02. （原始内容存档于2011-07-16）. ^ Williamson, Alan. An evening with Google's Marissa Mayer. Alan Williamson. 2005-01-12. （原始内容存档于2011-09-21）. ^ Page, Lawrence; Brin, Sergey; Motwani, Rajeev; Winograd, Terry. The PageRank Citation Ranking: Bringing Order to the Web. Stanford University. 1999-11-11 [2011-07-17]. （原始内容存档于2009-11-18）. ^ Page, Larry. PageRank: Bringing Order to the Web. Stanford Digital Library Project. 1997-08-18. （原始内容存档于2002-05-06）. ^ 9 People, Places & Things That Changed Their Names. Mental Floss. （原始内容存档于2010-03-16）. ^ Backrub search engine at Stanford University. （原始内容存档于1996-12-24）. ^ Koller, David. Origin of the name "Google". Stanford University. January 2004. （原始内容存档于2012-07-04）. ^ Google! Beta website. Google, Inc. （原始内容存档于1999-02-21）. ^ Google! Search Engine. Stanford University. （原始内容存档于1998-11-11）. ^ WHOIS – google.com. （原始内容存档于2012-05-29）. ^ Craig Silverstein's website. Stanford University. （原始内容存档于1999-10-02）. ^ 44.0 44.1 Kopytoff, Verne. For early Googlers, key word is $$$. San Francisco Chronicle (San Francisco: Hearst Communications). 2004-04-29. （原始内容存档于2009-09-19）. ^ Google Receives $25 Million in Equity Funding (新闻稿). Palo Alto, Calif.: Google. 1999-06-07. （原始内容存档于2001-02-12）. ^ Quirky Google Culture Endangered?. Wired Magazine. Associated Press. 2004-04-28. （原始内容存档于2010-08-14）. ^ Mills, Elinor. Google's culture czar. ZDNet. 2007-04-30. （原始内容存档于2010-10-31）. ^ Sullivan, Danny. GoTo Going Strong. SearchEngineWatch.com (Incisive Interactive Marketing). 1998-07-01. （原始内容存档于2009-10-14）. ^ Pelline, Jeff. Pay-for-placement gets another shot. CNET News (CNET). 1998-02-19. （原始内容存档于2012-12-08）. ^ Bylund, Anders. To Google or Not to Google. MSNBC. 2006-07-05 [2010-02-17]. （原始内容存档于2006-07-07）. ^ Google’s new record, 1 billion visitors in May 互联网档案馆的存檔，存档日期2013-01-16. ^ Mara, Janis. Google Acquires Picasa. Clickz. 2007-07-13. （原始内容存档于2008-02-20）. ^ Google Acquires Keyhole Corp (新闻稿). Google, Inc. 2004-10-27. ^ Lunden, Ingrid. DotMobi Sells .Mobi Domain-Name Operator. Yahoo!. 2010-02-12. （原始内容存档于2011-06-23）. ^ Page, Larry. G is for Google. Official Google Blog. 2015-08-10 [2015-08-10]. （原始内容存档于2015-08-10）. ^ Google Somewhat Lifts Oceana Ad Ban. 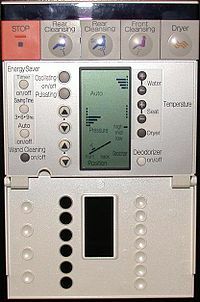 webpronews.com. （原始内容存档于2009-01-30）. ^ Google Demo Slam. 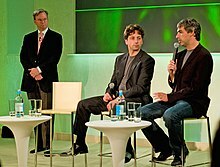 Google, Inc. （原始内容存档于2010-11-16）. ^ 110.0 110.1 Search Features. Google.com. May 2009. ^ 116.0 116.1 Cashmore, Pete. Six ways Gmail revolutionized e-mail. London, England: CNN News. 2010-04-01. ^ 118.0 118.1 Glotzbach, Matthew. Google Apps is out of beta (yes, really). Official Google Blog. 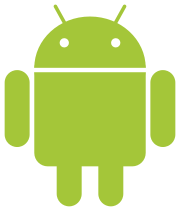 Google, Inc. 2009-07-07. ^ Google Announces limited test on Google Labs: Google Spreadsheets (新闻稿). Google, Inc. 2006-06-06. ^ Google Adds Postini's Security and Compliance Capabilities to Google Apps (新闻稿). Google, Inc. 2007-10-03. ^ Google Wave失败原因与教训. cnBeta.com. 2010-08-06. ^ MacMillan, Douglas; McMillan, Robert. Google Exposed User Data, Feared Repercussions of Disclosing to Public. The Wall Street Journal. 2018-10-08 [2018-10-08]. ISSN 0099-9660. ^ "Top 50 Domains - www.TheLifeMovie.blogspot.com Ranked by Unique Visitors"” September, 2007. ^ （简体中文） Chrome超越Firefox成为英国第二流行的浏览器. 2011-08-02 [2011-12-14]. ^ Android Stats. 2011-03-03. （原始内容存档于2011-01-02）. ^ 171.0 171.1 Sengupta, Caesar. Releasing the Chromium OS open source project. Official Google Blog. Google, Inc. 2009-11-19. ^ Womack, Brian. Google to Challenge Microsoft With Operating System. Bloomberg. 2009-07-08. （原始内容存档于2009-01-23）. ^ Levering, Robert; Moskowitz, Milton. Serwer, Andrew, 编. In good company. Fortune Magazine (Cable News Network). 2007-01-22, 155 (1). ^ Levering, Robert; Moskowitz, Milton. Serwer, Andrew, 编. The 2008 list. Fortune Magazine (Cable News Network). 2008-02-04, 157 (2). ^ Levering, Robert; Moskowitz, Milton. Serwer, Andrew, 编. The 2009 list. Fortune Magazine (Cable News Network). 2009-02-02, 159 (2). ^ Levering, Robert; Moskowitz, Milton. Serwer, Andrew, 编. The 2010 list. Fortune Magazine (Cable News Network). 2010-02-08, 161 (2). ^ The World’s Most Attractive Employers 2010. Universum Global. 2010-09-28 [2011-07-17]. （原始内容存档于2010-11-12）. ^ Noogler chez Google （法语）. ^ Another Googler goes to Facebook: Sheryl Sandburg becomes new COO. Venture Beat. 2008-03-04. （原始内容存档于2008-03-09）. ^ Moritz, Scott. Top Google exec jumps to Facebook. Fortune. 2008-03-04. （原始内容存档于2008-04-13）. ^ Mayer, Marissa (speaker). Marissa Mayer at Stanford University (Seminar). Martin Lafrance. 事件发生在 11:33. 2006-06-30. Fifty percent of what Google launched in the second half of 2005 actually got built out of 20% time. ^ Google Completes Pittsburgh Office, Holds Open House. WTAE ThePittsburghChannel. 2006-11-17. （原始内容存档于2009-06-04）. ^ Olson, Thomas. Google search: Tech-minded workers. Trib Total Media. 2010-12-08. （原始内容存档于2011-09-21）. ^ Inside Google's Michigan Office. InformationWeek. 2007-10-24. （原始内容存档于2008-05-03）. ^ 215.0 215.1 Richmond, Riva. "Google plans to build huge solar energy system for headquarters Portuguese Web Archive的存檔，存档日期2016-05-19." MarketWatch. October 17, 2006. Retrieved October 17, 2006. ^ Sheep Mow Lawns. National Semiconductor. （原始内容存档于1999-05-06）. ^ Strand, Ginger. "Keyword: Evil WebCite的存檔，存档日期2009-06-12." Retrieved April 9, 2008. ^ Data center locations. Google. [2012-12-03] （英语）. ^ About the Foundation. 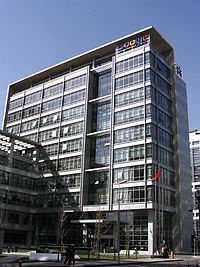 Google, Inc. （原始内容存档于2010-07-14）. ^ Project 10 to the 100th. 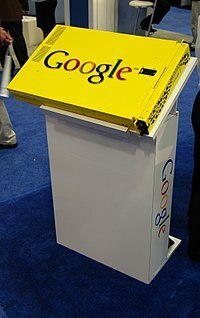 Google, Inc. （原始内容存档于2009-06-12）. ^ Google donating 1 million euros to IMO. 2011-01-20. （原始内容存档于2011-07-24）. ^ 255.0 255.1 Google Giving. Google, Inc.
^ Cerf, Vinton. The Testimony of Mr. Vinton Cerf, Vice President and Chief Internet Evangelist, Google: 8. 2006-02-07 [2008-05-04]. （原始内容 (PDF)存档于2008-09-21）. ^ Privacy International 2007 Consulation Report (PDF). （原始内容 (PDF)存档于2007-06-12）. ^ No anonymity on future web says Google CEO. THINQ.co.uk. 2010-08-05. （原始内容存档于2010-08-15）. ^ Bill de Blasio, Office of the Public Advocate for the City of New York. Google: Disclose Now!. 2010-08-05. （原始内容存档于2011-07-21）. ^ Michael Liedtke, AP Technology Writer. Google grabs personal info off of Wi-Fi networks. Finance.yahoo.com. 2010-05-14. （原始内容存档于2010-05-18）. ^ 媒体曝上千家公司向美国政府提供情报 包括谷歌脸谱. [2014-06-03]. （原始内容存档于2016-03-13）. ^ 关于谷歌中国的最新声明. Google官方网站. 2010-03-23 [2010-02-23]. ^ 谷歌时代结束 - Google中国名称已经改回. cnBeta. 2010-04-02 [2010-04-03]. ^ “六四”临近 谷歌多项在华服务被封. 華爾街日報中文網. 2014-06-03. ^ 天安门事件前夕谷歌被封锁. GreatFire.org. 2014-06-02 [2014-06-15]. ^ Google 在中国被严重封网. 亞洲自由電臺粵語部. 2014-06-02 [2014-06-15]. ^ 谷歌不承认CNNIC安全证书 .cn网站受影响. 觀察者. 2015-04-02 [2015-04-02].